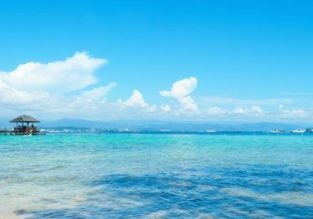 5* Singapore Airlines: Cheap flights from Hong Kong to Australian cities from only $404! 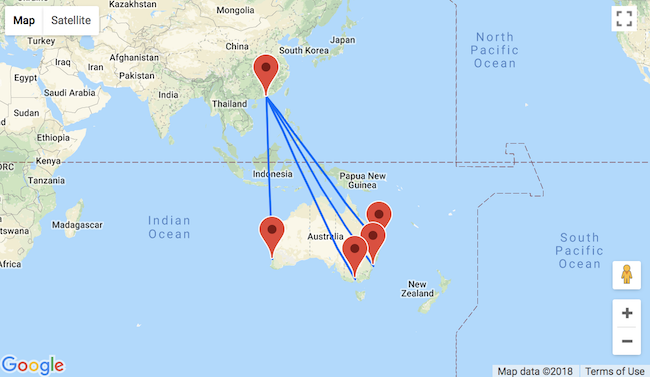 5* Singapore Airlines are offering cheap flights from Hong Kong to Perth, Melbourne, Sydney and Brisbane! You can book a ticket from as low as $404 for a roundtrip! Australia is home to many unique geological phenomena. One of the world's most iconic natural wonders, this saline lake is located on the edge of Middle Island, in the Recherche Archipelago. Lake Hillier is particularly notable for its vibrant pink colour and high salt content levels (comparable to those of the Dead Sea). High salinity combined with a massive concentration of the Dunaliella salina micro-algae is responsible for its intensive colour. Unlike other pink lakes, however, Lake Hillier maintains its bubble gum pink shade year-round and the colour does not alter when the water is taken in a container. Tourists can admire the lake only from above on helicopter rides. 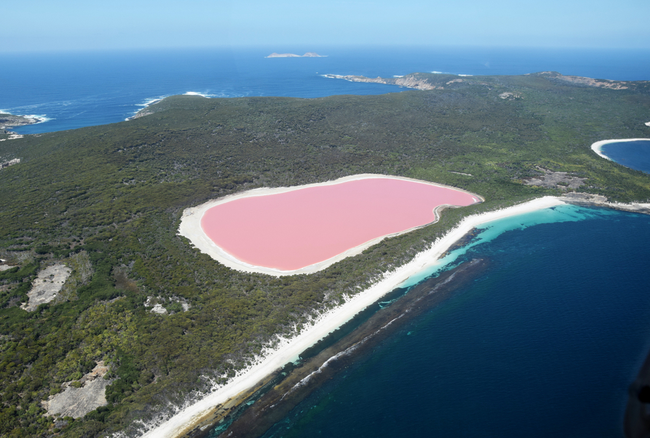 Besides Lake Hillier, there are four pink lakes in Victoria’s Murray-Sunset National Park: Lake Crosbie, Lake Becking, Lake Kenyon and Lake Hardy, and there is also Hutt Lagoon, a pink inlet located between Geraldton and Kalbarri.